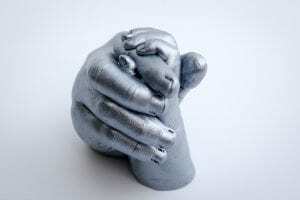 Child siblings’ hands clasped together – up to five children. 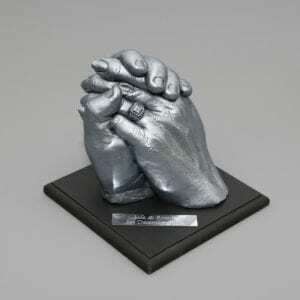 Beautiful casting made of child siblings clasping hands together, forming a perfect link between each other. 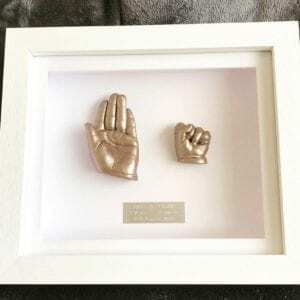 This is available for up to five children under the age of sixteen and makes a perfect gift for Parents. Your casting can be displayed on a plinth with a plaque this is an additional cost.